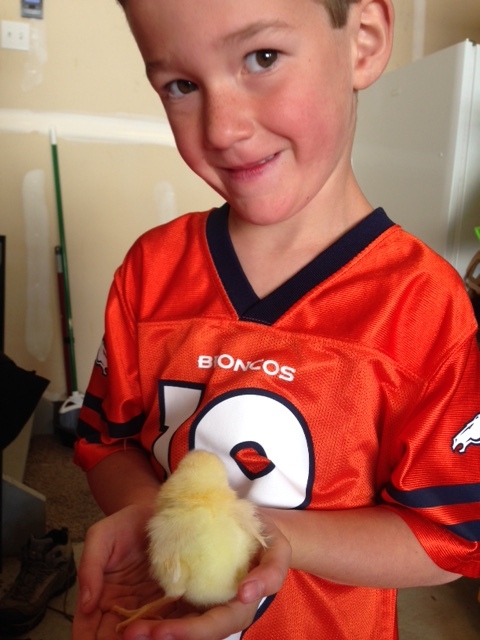 And Now We Are Chicken People…. We have officially joined the ranks of “Chicken People”. It started out innocently enough, it was gorgeous outside even though it had snowed the day before and I got a great idea (better than my last idea…) to ride/walk over to the new shopping area in our little town for lunch and then stop by the farm store and look at the baby chicks with the boys and then make it home in time for Caedmon’s afternoon nap. And for the most part the plan worked out….with just a few things added. Like deciding that we should buy a few baby chickens. I wisely however decided that we should not try to take the chickens/large bag of feed/bag of wood chips/etc home on our bikes/stroller. We came home and got the van for that part. Although it would have been entertaining to watch us try to maneuver all of that for the mile walk/ride home. At least entertaining for someone else to watch….don’t think it would have been as fun for us/me. 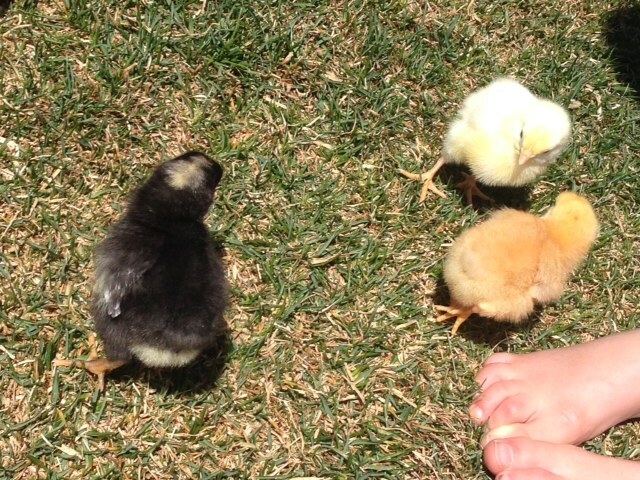 Oh and did I mention that I didn’t tell my husband that we were buying chickens? He was off teaching high school math for the day, as Leighton said “Won’t Daddy be surprised when he gets home?” I did send him a warning text that said something like “so…lets just say you came home and found that we bought 3 chickens….how would you feel?” He was surprised, but he handled it well and actually was kind of excited. 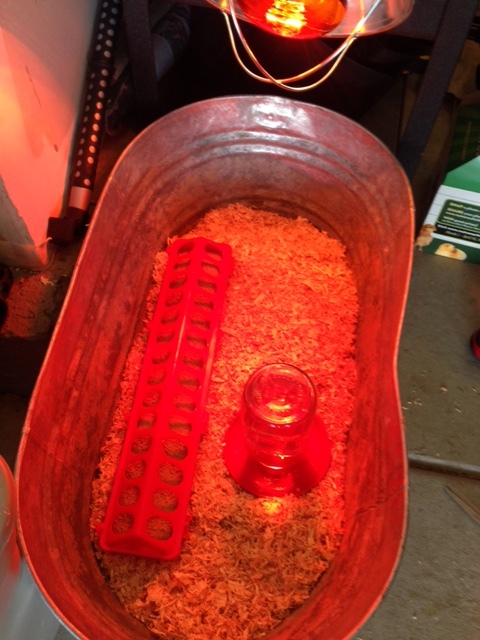 So we made it home with everything and I put Caedmon down for a nap and Leighton and I got what I call the “chicken home” but the official chicken term is “brooder” all set up and heat lamp going. 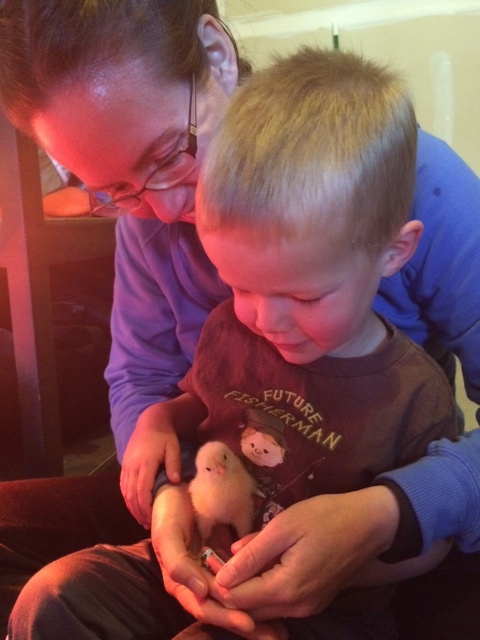 We added our chicks and sat and watched them for quite awhile afterwards and they seemed quite happy in their new homes. The boys picked out the names. Leighton named his Ben. Ben is his favorite name, we have a Lego named Ben, fish named Ben, multiple stuffed animals named Ben. I think the original liking of the name came from a Lego Fire book starring (you guessed it!) Ben the fireman. And so now we have Ben the chicken. Who we are hoping is a girl. The store said they are 92% sure that all our chickens are girls…not wanting to be part of that 8%. Ben is a New Hampshire Red chicken. So far a few days in, she seems to be the Lady In Charge. 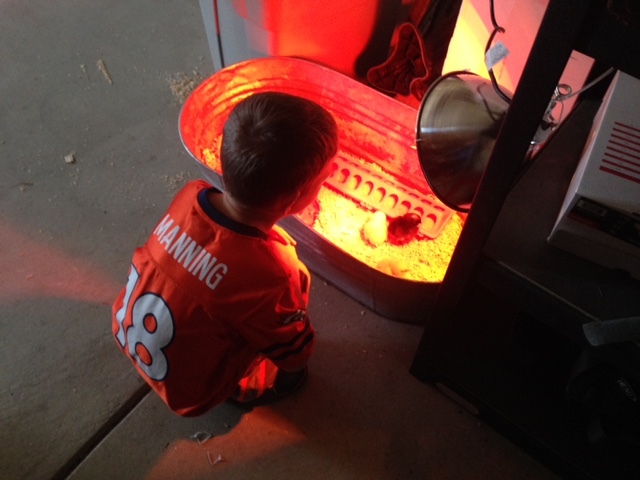 Caedmon chose a Barred Rock chicken that is black and white speckled. He chose to name her “Lamby” after his current favorite stuffed animal. Only he says it “Whammy”. I think she is about a day older than the other two, she didn’t still have an egg tooth like the other two and her wing feathers seem about a day ahead of the others. She seems the most mellow and easy going chicken we have so far. And then we have Korea. We named her in honor of Edric, if he wants to name her something else when he gets home he totally can. Caedmon really wanted to name her “Edric” but I convinced him that having a brother named “Edric” and a chicken named “Edric” might be too much (especially with all the Bens that we have). She is a White Leghorn. And she lives up to her species, she is a total chicken, very skittish with anything. And so that is our little flock. And our new adventure. Hoping that they work out better than the tadpoles we have that were suppose to turn into frogs around 12 week time, and who 6 months later are still tadpoles…not sure what that is about. I’ll keep you posted on our little flock as they grow and develop. In the sunlight the colors are more distinct, black one is Lamby, light yellow is Korea, and orangish yellow is Ben.